Do your kids LOVE Balloons?? I know mine does! Every time we go to a birthday party, my kids always ask about the balloons, and if they can have some or play with them! Every time we go to the grocery store they see them and want to get them, too! Balloon Time has a great product, that not only saves time and money, but it is super fun to do this from home. Make your own helium-filled balloons with your own Balloon Time Kit! I love how easy this kit is to put together, get ready and use! Included in the kit is a tank of helium, bag of balloons and string. Just with opening the box, this kit is ready to use. The Balloon Time kit is portable, so it is great to bring to parties or your location of celebration. It is a hit with kids of all ages! Balloons keep kids entertained for quite a long time, at least my kids love them! They love having a string tied on them to have control over where they go. Watching the balloon bob up and down with the tug of the string is quite thrilling. You can enter your child (age 3 to 11) Balloon Time’s Put A Face On Fun contest, which looks for the most energetic, exuberant child to represent the Balloon Time brand. The child chosen as the next “Face of Fun” will be featured on a Balloon Time package and will receive a Disney Cruise Line® vacation for four (subject to availability). If you think your child has what it takes to win (of course you do! ), visit PutAFaceOnFun.com to enter their photo (no professional photographs) no later than November 14 at noon EST. Then, invite your friends, family and readers to vote, as a portion of the final tally is determined by America’s Vote. In addition to America’s vote, each photograph will be judged by an independent panel of judges based on the following criteria: smile, age appropriateness, expression of fun and suitability for appearing on packaging. Balloons are great way to put a smile on some one's face. I just think it is a great product to bring the balloons to someone, at a reasonable cost. Sign up for the FREE Balloon Time Celebrations e-Newsletter! Balloons are suggested for ages 8 and up, and they are a choking hazard for kids. Use caution with use. 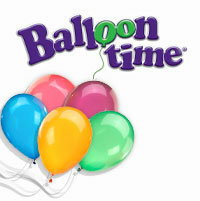 You can purchase the Balloon Time kits at stores like Party City, Kmart, Target and Walmart. 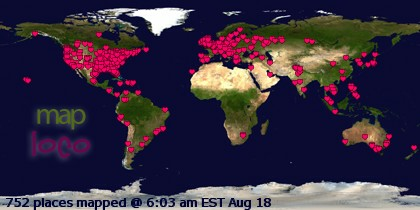 Check out the Balloon Time website for a location near you. This contest is open to bloggers and non-bloggers of the United States, and the contest is open until midnight October 31st, 2010. To enter, go to the Balloon Time website, and take a look around. Come back here and comment about what you found out. Winner will receive a coupon to get a free Balloon Time kit, either the 30 latex balloon kit or the 50 latex balloon kit. I will notify winner, and if after 3 days the winner does not respond, I will pick a new winner. This review was provided from Balloon Time. They have provided me with a coupon voucher to get a Balloon Time kit to review and information to share with my readers. I am sponsored to offer a giveaway for my readers through this review (a coupon voucher to get a free 30 or 50 balloon kit). I was given the product for my personal opinion and option to share with my readers. I was not compensated for my time or written review. You can purchase Balloon Time kits at iparty. I found out that you cannot refill the tanks, the tanks are designed to non refillable, you can purchase tank at your local retainer. The create-a-face kit looks like fun! My daughter graduates from high school in June, so balloons are very important! Commented under Life as We Know It. Commented under Momma feeding products. I found out that they sell them at our local Meijer. I would love to win this! My son's birthday party will be in December and wouldn't it be nice to have one of these on hand! Commented under Filtrete filters. Liked your cleaning tips. I found out that they have tips for eco friendly parties!